Expectations Salon & Spa merges the paths of Big City Sophistication with Small Town Style fulfilling the need for quality service and a quiet comfortable place to escape, leaving you refreshed and renewed. Dedicated to remaining skilled and up-to-date on the latest techniques, trends and tools using hand selected products proven to give our clients their best look and feel. We are more than a salon, offering spa and wedding services to custom fit any need and pride ourselves on being one of the few to offer such an extensive list in the Upper Valley. 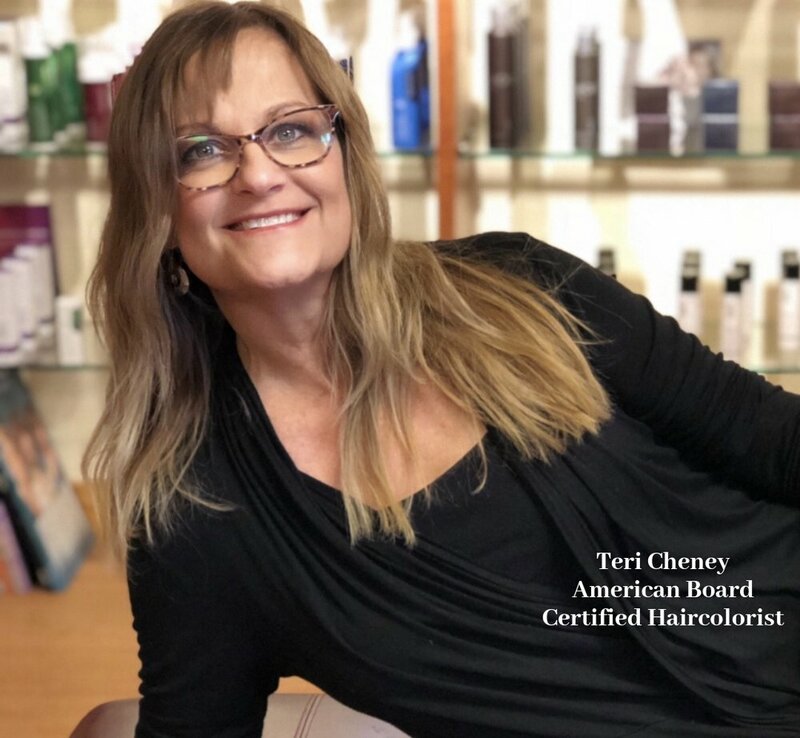 Teri Cheney is the owner of two hair salons, Expectations Salon & Spa and The Salon at Quail Hollow, both located in West Lebanon, New Hampshire. She is also the former owner and operator of Shear Effects in Claremont, New Hampshire. Teri has over 20 years of experience in the salon industry and 15 years of experience in skincare and makeup. She keeps her skills honed by mentoring a promising young stylist and through regular certification and training programs. 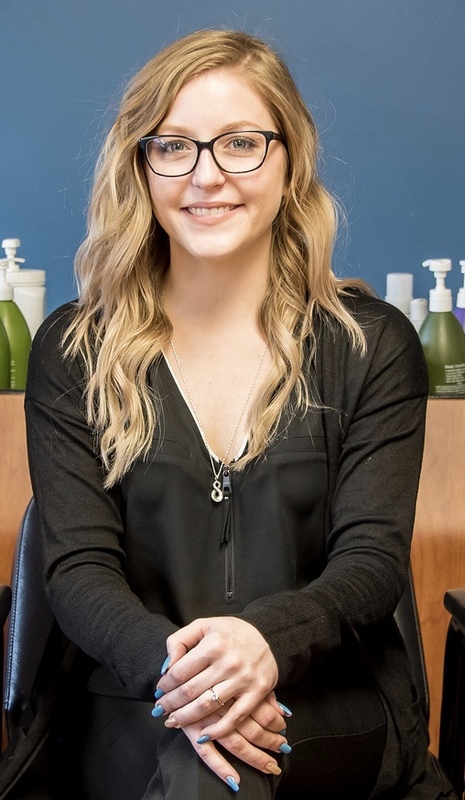 Katie is our manager and master stylist at Expectations. Rather than going the traditional route, she completed her educations right here in the salon under owner and master stylist Teri. Her apprenticeship entailed over 3,000 hours of extensive training in all aspects of the beauty industry. During that time Katie developed a love for all color services, cutting, and special occasion hair. You will enjoy her calm nature and her close attention to detail. She aims to send every client out of her chair looking and feeling beautiful with the exact look they ask for. With over thirty years of experience, Jill Chase brings to Expectations Salon expertise in several aspects of hair, nails' and skin care. Always knowing that being a stylist was in her future, Jill enrolled in the Lowell Academy of Hair Design immediately following high school. There she earned her cosmetology diploma. Since then, she has enhanced her skills by working at different salons and continuing her education. Most recently, Jill was the successful owner of Ladybug Beauty Salon in Bethel, VT. Some of her talents include updos, highlights and razor cuts. Jill's focus on attention to detail and more importantly her clients is always evident. Ilona was born and raised in New York but now resides in Vermont. She has a passion for all things make up and attended cosmetology school for two years. She also enjoys playing softball and basketball. She is very adept with computers and is a fabulous multitasker, this is why she has chosen to pursue a career as our Guest Service Provider. We adore her and her willingness to help us provide our guests with an exceptional salon experience. I'm a chronic last minute scheduler. Teri got my daughter and I scheduled the same day. We were greeted warmly, and treated to service I haven't ever experienced in the Upper Valley. Teri made certain that she understood what we wanted, so that we would be happy with the outcome. I was made very comfortable in this bright and stylish salon. Products were suggested, and explained, but not pushed. The hair wash was blissful. Pricing is very reasonable. I am so glad I discovered this salon! I have been going to Expectations for about 3 years now. Teri did my hair for a long time and always did an exceptional job and really listened to me. Due to my scheduling conflict I needed to change to Katie. She is absolutely wonderful as well and also very attentive and listens to what I am looking for. A very professional salon with a relaxed atmosphere. I wouldn't go anywhere else! Just went to expectations for the first time today and not only did they squeeze me in last minute the same day I called, but completely exceeded my expectations. Teri did a fabulous job with a long angled bob. So excited to show off my new hairstyle! If your looking for a professional, personalized customer experience then schedule an appointment at Expectations and pamper yourself! The atmosphere is inviting and beautiful! The staff are committed to quality services with a team focus on cutting edge customer care! I had a great spa pedicure last weekend at Expectations with Katie. She was very thorough and proficient. Great foot massage, too! Such a convenient location in the Upper Valley. I look forward to scheduling another appointment with Katie. Moved here from Boston area, where I had a fantastic stylist.. Tried several salons in upper valley with poor to moderate results until I found Teri at Expectations! She's a very talented colorist and stylist, makes me feel wonderful inside and outside. Now my whole family sees her, including my husband and kids, she's amazing and the salon is run beautifully. I can't speak highly enough about my experience, I had a true consultation with Katie who listened to what I wanted (UNHEARD OF in this area)! She was talented, up with the latest trends, knowledgable about the products in the the salon, professional and incredibly personable. She spent 3 hours fixing another hair dressers mistake and didn't make me feel rushed when I knew I was keeping her from going home at the end of a long day. I spent 8 years with the same hair dresser/stylist before I moved down to the upper valley and I'm happy to say I'm hooked! Thank you Katie and Terri, I look forward to many more great experiences! I wanted to go gray. Terri did a test strip before starting the process to make sure my hair could take the chemicals. She was great with suggestions and expectations. It was a long process for me, but it looks fabulous and the cut is such an updated improvement. Relaxed atmosphere and super friendly folks. I would totally recommend. Just got a haircut and color at the salon. I absolutely love it! They are very good at listening to the client's desires and are very creative! Thank you once AGAIN Teri! It took me a long time to trust someone with my hair after a huge mishap at another salon. I never leave Expectations disappointed and have always received compliment after compliment on my hair cut! Love this salon! Teri is fabulous with my foils and color changes, and gives beautiful cuts to my kids and husband! Teri and Katie were wonderful and they are incredibly committed to satisfying their clients. I definitely recommend people come back and give them another shot. The place is relaxing and inviting, they took their time with me and I left feeling gorgeous! My hair is so soft and shiny and they picked out the perfect color. The other client there was very happy with his cut as well!